North America, USA, Florida, Outer Space, Mars, Washington D.C. Wildly praised by readers and critics alike, Robert Charles Wilson's Spin won science fiction's highest honor, the Hugo Award for Best Novel. 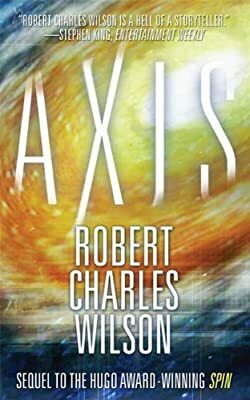 Now, in Axis, Spin's direct sequel, Wilson takes us to the "world next door"—the planet engineered by the mysterious Hypotheticals to support human life, and connected to Earth by way of the Arch that towers hundreds of miles over the Indian Ocean. Humans are colonizing this new world—and, predictably, fiercely exploiting its resources, chiefly large deposits of oil in the western deserts of the continent of Equatoria.